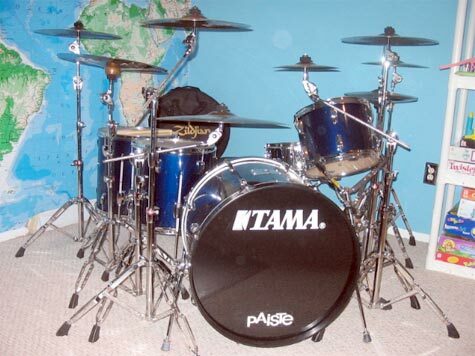 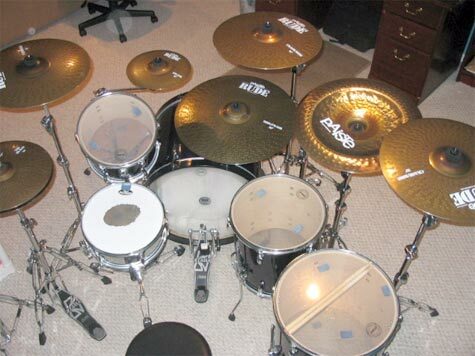 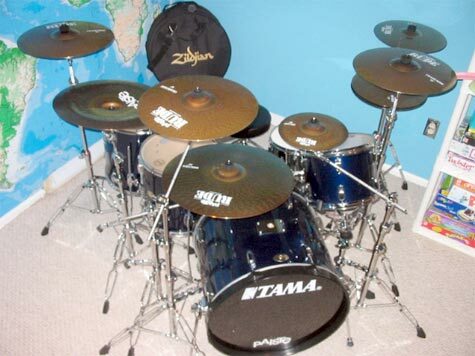 My Dream Set: Tama, Midnight Blue, with Paiste Rude cymbals. 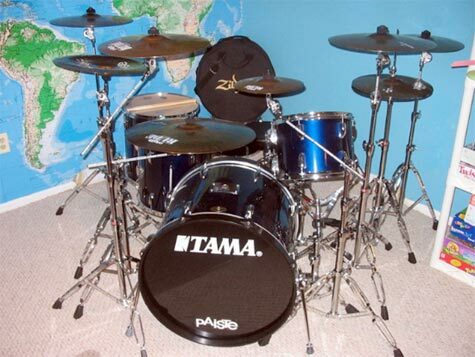 I had wanted this set ever since I saw The Police on their "Ghost In The Machine" Tour back in 1981. 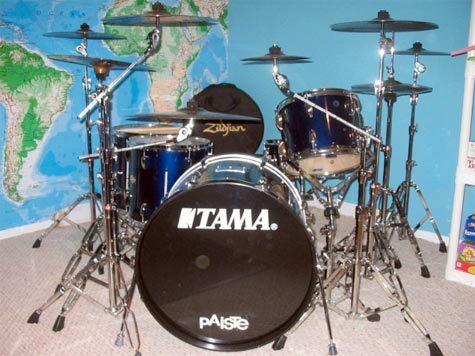 Stewart Copeland was playing a navy blue Tama set with Paiste Rude cymbals, the coolest looking & harshest sounding cymbals that I have ever come across. 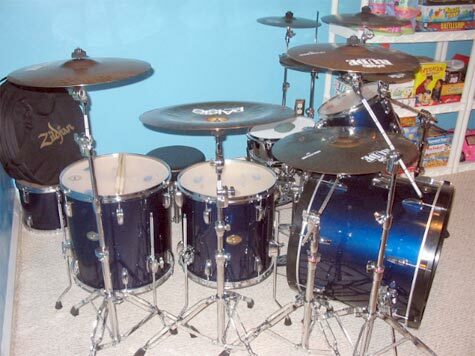 His set-up was different than mine is now, but I still knew back then what I wanted for myself. 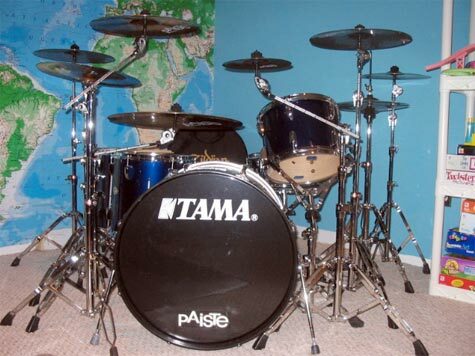 24 years later, I finally got busy and ordered the various parts off of the Internet, slowly putting together my set over approximately a 6-month period until I finally reached the finished product.